Thank you all for your overwhelming participation, support, and comments. For small company like us, your comments provide the necessary encouragment to work hard to improve continously. Though each of your comments were very valuable, we picked following feedback for thoroughness that took into account every aspect of the product. We will soon ship a Tonidoplug to the user. I purchased a Tonido2Plug several weeks ago and I enjoy using it every day. Yesterday, I received an email from you, asking for feedback and suggestions, where you offer a prize of a TonidoPlug2 for the best feedback or suggestion. I’m am happy to provide you with feedback and would be even happier to win the prize if you think my feedback or suggestion is worthy of such an honor. Unboxing everything went well. I was pleased with how the items were found in the box and how easy it was to understand how the device was to be connected to the router, the external USB drive, and to the power outlet. I could not figure out how to open the Tonido2plug to insert an internal drive. I learned later that the directions were not correct. The graphic in the directions made it easy to understand the order of the connections, and I was able to get everything connected in less than 5 minutes. After I got it all connected, the device would not work and I could not figure out why. It took me a few attempts of trial and error, then I added a “help me” post to your forum and had to wait for a response, then I had to call my internet provider (they told me to reboot my cable modem). After that, it worked and I have had no issue since, except for …… I can’t get the wireless to work. I have followed the directions the best that I can but it’s like a trial and error puzzle where I don’t seem to get the settings done correctly. I have a wireless printer that I set up with absolutely no issue, and my family members have several other wireless devices and each of those devices were easy to set up or configure. I haven’t given up but I’m frustrated with this. Reprint your instructions so the font is a bit bigger and change the color from blue to something else that is easier to read. Correct the instructions. There is at least one part that is wrong (instructs you to hold own a switch to open the device, and that isn’t necessary). Put the instructions on your web site. to do that are written for a person like me (I’m not a software developer or programmer) so it would be great if there were some simple and clear and easy instructional material available to explain how to do that. 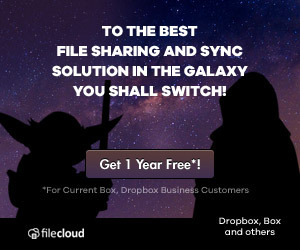 I have already recommended your product to one of my co-workers and he says he will place an order, and I think most of my other team members will want one too, so we can have a somewhat distributed file-sharing network at work, protected by the firewall. But we can’t use any device at work unless the IT department has approved it. So if I win a Tonido2Plug for best feedback, I will hand it to our IT department so they can check it out. This is backwards incompatible change that affects users of early versions of TonidoPlugs. It needs an action from your part if you upgrade to the latest Tonido version 2.12 and later. This blog post is applicable to users of early versions of TonidoPlug, on which the external USB disks are mounted on /media/usb0, /media/usb1 etc. Note: If your TonidoPlug mounts disks already as /media/disk1part1, /media/disk2part1 etc., then this post is not applicable for you, feel free to skip this blog post. Users of earlier versions of TonidoPlug might occasionally face an issue with their plugs, when they connect external USB disks. When a USB disk is connected to the plug, the connected disk will be detected and be available as /media/usb0 or /media/usb1 etc.,. This mount scheme will cause issues if you have multiple USB disks connected to the plug (through a USB hub) or single USB disk with multiple partitions connected to the plug. The problem is that every time you reboot your plug, the USB disks(partitions) will be detected in random order and they might get assigned with different mount paths. This problem can occur even if remove and reinsert the drive(s). 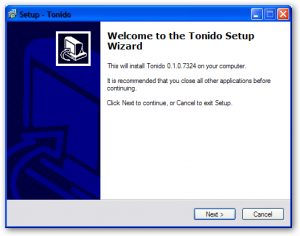 The new Tonido release v2.12.0.12708 for TonidoPlug updates the disk mounting scheme for all TonidoPlugs including the earlier versions. With this update, your TonidoPlug will start mounting disks with a new naming scheme as /media/diskXpartY. where, diskXpartY will refer to disk number X and partition number Y.
disk1part2 will refer to disk number 1 and partition number 2. By following this scheme, we are ensuring that a disk detected once will always be mounted on the same path no matter when the plug is rebooted or the disk is reinserted. When early version TonidoPlug users update their software to v2.12.0.12708, all apps will become suspended. This will not happen immediately after the update., but it will happen only when the plug is rebooted or the USB drive is reconnected to the plug. This happens because Tonido expects your user data directory to be in /media/usb0 or /media/usb1 (based on your existing configuration) but since the USB disks will not be mounted on these paths anymore, they suspend the applications quoting user data directory unavailability as the reason for suspension. 1) Goto Tonido UI. Click on ‘Settings‘ on the left-hand side tree navigation. On the settings panel, click on “Account” tab. 2) Change the existing value of “User Data Directory” from /media/usb0 to /media/disk1part1 depending on which USB drive you are using as your Tonido data directory. If you are not sure of this path, navigate using the Tonido explorer UI to find the path where your disk is mounted. In the following image, I will change my data directory from /media/usb0/Tonido to /media/disk1part1/Tonido. After changing the value, click on ‘Update‘ button. 3) You need to reboot the plug for the changes to take effect. You can reboot the plug by either recycling power to the plug or by clicking on ‘Reboot TonidoPlug‘ button from the TonidoPlug admin UI. 4) Reactivate all your apps. They should now activate and function normally. This change also helps us support more features for your USB drives such as showing friendly names including disk manufacturer data. It might take time for some users to getting used to this new disk naming scheme, and we regret having to make this backwards incompatible change, but this is a change that will make your plug robust, more use-able and make it also easier for us to support over the coming years. Tonido will soon be offered as a cloud service. Tonido can now reside on a server away from your home. You will be still having your own private, secured and personal Tonido, however on a much faster network and much better availability. You want a backup of your important data on a reliable server away from home. You want a decent amount of online space to store/consume your personal data. You are not able to stream music fast enough from your home connection to a browser or iPhone at a remote location. You don’t want to run your PC 24×7 but still want uninterrupted access to your files, folders, photos and/or music. You want uninterrupted access to files and folders not only for yourself but also for your friends and family who you have shared files with. If you were already facing some of the above inconveniences then Tonido Cloud service is the right answer for you. Fast and reliable network connection. For more details including pricing and to sign up for a email notification when this service launches, click here. We will offer the service at a huge discount to the people who sign up in the mailing list . BTW, let us know your reason (that is not listed above) to have Tonido on Cloud. We would love to hear your thoughts.The best innovative reason will get 6 months of cloud service completely free. That is the definition you will see when you goto TonidoPlug.com. What is not explained clearly is that it is actually a tiny linux server running Ubuntu 9.0.4 in it and it can function as a NAS adapter out of the box. USB Hard drives: USB hard drives are very handy to extend the storage of your desktop, to archive documents, photos and other media files. The problem with an USB hard drive is that it can be connected to only one desktop at a time. If you have multiple desktops then it will be difficult to share the drive among them. NAS adapters can help to fix this issue. NAS Adapter: When you connect an USB drive to a NAS adapter, it makes the drive available on your local network. So multiple desktops can see the drive on the network and read/write files from/to it. TonidoPlug as a basic NAS adapter: Like any NAS adapter you can connect your USB drive to TonidoPlug and it immediately makes it available on the local network. 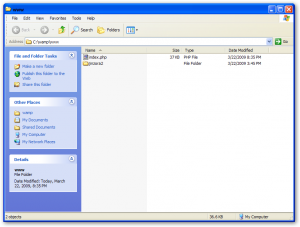 It understands all the common disk formats such as: FAT16, FAT32, NTFS, EXT2, EXT3. It supports hard drives of capacity upto 2TB. Price tag $99. Power on TonidoPlug and connect a network cable to it. Now connect your USB hard drive on the USB slot of TonidoPlug. TonidoPlug as an advanced NAS adapter: If you want to setup multiple user accounts by providing private space for each user on the USB hard drive then it is as easy as changing few parameters in the configuration file. Look here for a quick how-to. Also if you are linux user who is familiar with SAMBA then the possibilities are endless. TonidoPlug can act as NAS device. When an external USB harddisk is connected to TonidoPlug, it automatically mounts the USB HDD and makes it available for other computers on the network. So for example, to connect to this share from windows, open an explorer window and type \\<TonidoPlug IP>\MediaDisk and you get full access to the USB HDD. Since TonidoPlug is not configured to provide user based access to samba shares by default here is a guide to create user based access . By doing this setup, users can access their home directories by authenticating themselves with their login and password. They cannot view or access other user shares without knowing their login credentials. By default when an user is created in the Linux OS, it is not available as a samba user automatically. This usually is done as a separate step. In our setup we also try to automate this process. 1. Install libpam-smbpass package. This package provides necessary tools to synchronize linux OS user/passwords with samba repository. 2. Open /etc/samba/smb.conf with a text editor and make the following changes. 3. By default TonidoPlug allows full access to everybody. Disable this default behavior. Look for the following lines and comment them. The above lines shows the commented configuration lines. 4. By default TonidoPlug allows share level access. Change this to user level access. 5. Enable automatic synchronization of user and password information from linux OS to samba. 6. We need to users to access their home directories when they login with userid and password. Samba configuration should be enabled to expose user home directories. 7. Save the smb.conf file and restart samba daemon. For testing, we will create a user on the TonidoPlug and try to access the user’s home directory as a samba share. 1. Create a user on TonidoPlug. You can do this by doing SSH to TonidoPlug as root user. 2. Set a password for the demouser. 3. Important: Open another SSH session to TonidoPlug and login as the new user. This is only trigger I could find to synchronize the OS user details with samba. You can close the SSH session as soon as login is successful. 4. For the other SSH session (as root user) verify if the new linux user is synchronized with samba. You should see ‘demouser’ as an entry in the output. 5. Now from the windows machine, open an explorer window and type the \\<Tonido_Plug_IP>\demouser. It should prompt for username and password. Enter ‘demouser’ and its password. Once you click ‘Ok’ it should show the demouser’s home directory with full access only to his home directory. Listening to music online is not a new concept to many internet users. However this habit has evolved more into listening to your own music collection online. With hardware prices getting dirt cheap and more users switching to faster internet connections (switching from dialup to cable/DSL), running your own personal radio station is fancier than ever. In this article, we will take a look at the installation and configuration of two such software that lets user to run their own internet radio station. (1) Tonido Jukebox – An application plugin from CodeLathe that runs on tonido platform. 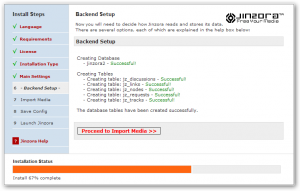 (2) Jinzora – A PHP based web application that runs on LAMP stack. Before proceeding with the installation let us look at the comparison of each of the above. Supported for different OS without any additional software stack. No need of separate Dynamic DNS (DDNS) setup. Automatic UPnP port forwarding available if supported by users router. Additional software stack (such as LAMP, WAMP, MAMP) will be needed depending on the target OS. Needs registration with a DDNS provider if a URL access is needed. 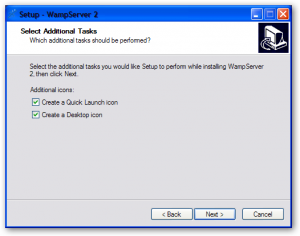 Let us look at the steps involved in installing the above two on a windows platform. 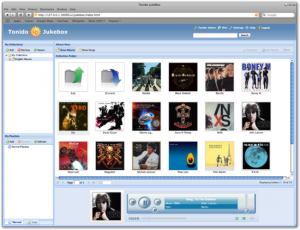 Tonido Jukebox is an addon plugin for tonido platform. Jukebox is bundled with the default Tonido installation along with few more other applications. Tonido also has the advantage of automatic dynamic dns (DDNS), so accessing your Jukebox with a URL is possible without any extra DDNS configuration. 1) Download the latest Tonido from http://www.tonido.com/ . Click the downloaded file to run the setup. 2) In the windows security warning window, Click “Run” to run the setup. 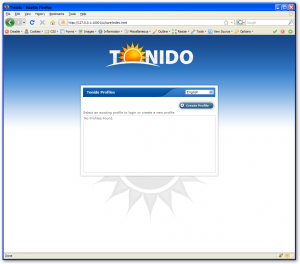 3) In the Tonido setup welcome screen, click “Next”. 4) In the next screen, keep the default start menu folder. Click “Next”. 5) In the next screen, keep the defaults. Click “Next” to start the installation. 6) After installation, click “Finish” to conclude the installation and launch tonido. 7) Tonido UI opens in a browser window. 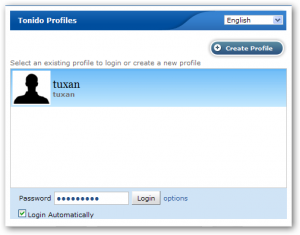 Click on “Create Profile” to create a new user id. 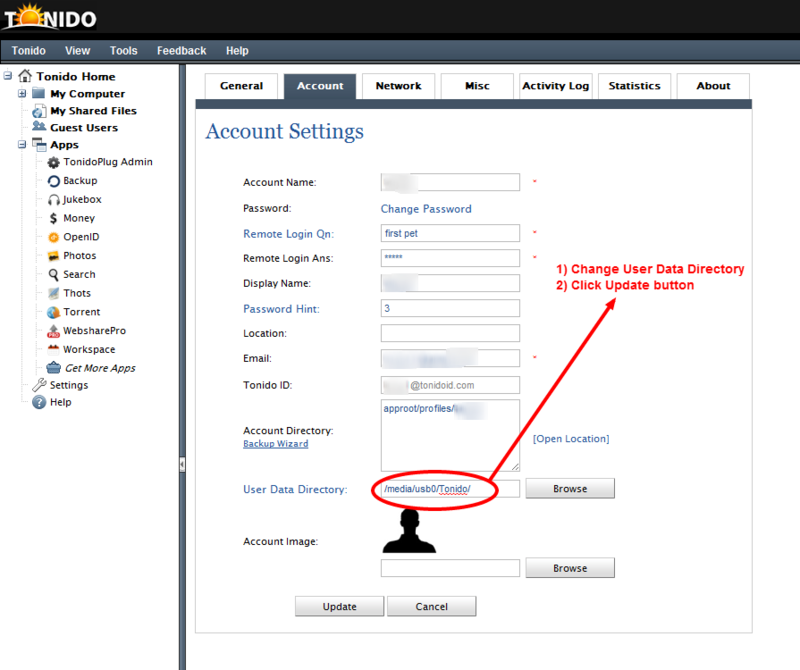 8) Create a new user id by entering all the information and click on “Create”. 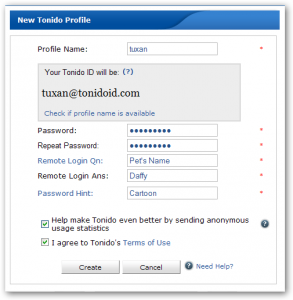 9) A new user id is created in your Tonido. 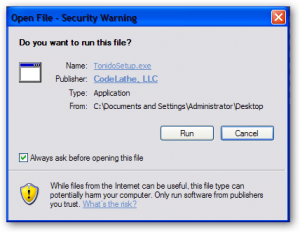 This instance of Tonido is completly local to your PC and no information is stored in any thirdparty servers. Login to the account by entering the password and clicking “Login”. 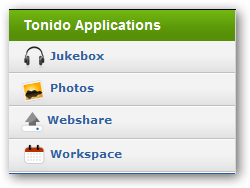 10) In Tonido administration screen, click on Jukebox from the application list on the left navigation panel. 11) When Tonido Jukebox starts for the first time, it prompts the user to add MP3 song collection. Enter the path to your MP3 collection and click “Add”. 12) Finally Jukebox is up and running. All the necessary configurations are completed and ready for access from anywhere. 13) Tonido Jukebox is already configured for dynamic dns (DDNS). So now you can access Jukebox anywhere on the internet by using the URL (http://tuxan.tonidoid.com:10001/ui/jukebox/index.html), assuming tuxan is the user id and port forwarding is enabled. Goto www.tonido.com/support for more information on port forwarding. 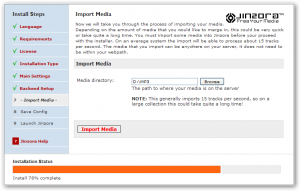 Jinzora is a PHP based streaming application that works on top of a LAMP stack. So the steps include LAMP stack setup and then the Jinzora setup. 1) Download the latest LAMP stack from here. 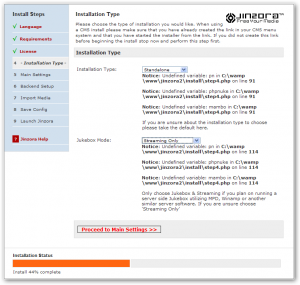 Click on the installer to start the installation. Click “Run” at the windows security warning window. 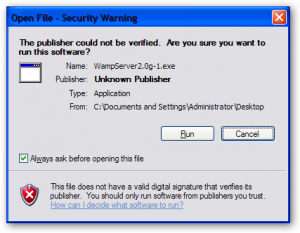 2) Click “Yes” on the setup warning window. 3) Click “Next” on the welcome screen. 4) In the next window, select “I accept the agreement” and click “Next”. 5) In the next window, do not change the default path and click “Next”. 6) In the next window, select the shortcuts options that needs to be created. Click “Next”. 7) Enter the SMTP server information if you have one. If not keep the defaults. Click “Next”. 8) When the installation is completed, click “Finish” to close the launcher. 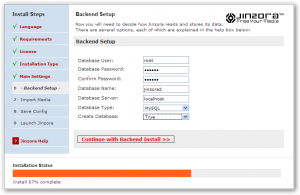 9) Before proceeding with the Jinzora installation, the MySQL database user (root) should be assigned with a password. Open URL(http://localhost/phpmyadmin/) on a web browser. Click on privileges. Edit root user and set a password. 10) After setting a password for root MySQL user, php admin application won’t be able to access MySQL database. Edit the config file(Default : C:\wamp\apps\phpmyadmin3.1.3\config.inc.php). 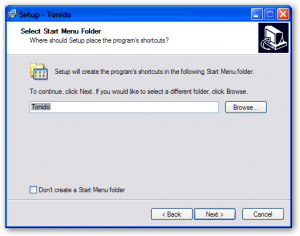 Save the file and restart all servers from the windows system tray. 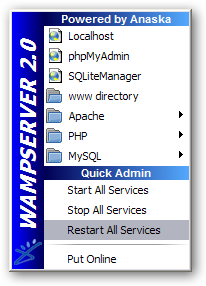 Click on the WAMP icon and select “Restart All Services”. 11) Now its time to install Jinzora. Download the latest Jinzora installation from here. Open the zip file and copy the contents of the zip to apache web directory. 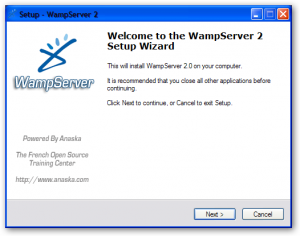 (Default C:\wamp\www). After copying the contents the folder should look as follows. 12) Open a browser window and go to the URL (http://localhost/jinzora2/). You will be greeted with the Jinzora welcome screen. Click “Proceed to Requirements” to move to the next screen. 13) Jinzora will check for the requirements and will show the results. If nothing major is found missing click on “Proceed to License”. 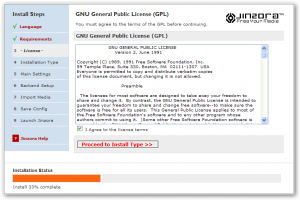 14) In the license screen, select “I Agree to the license terms” and click on “Proceed to Install Type”. 15) In the installation type screen, select “Standalone” as the installation type. In the Jukebox mode, select “Streaming Only” as the mode. Click on the “Proceed to Main Settings”. Streaming Mode : Music will be streamed to the remote client and the music is played at the client side. Jukebox Mode: Music will be played at the server side. 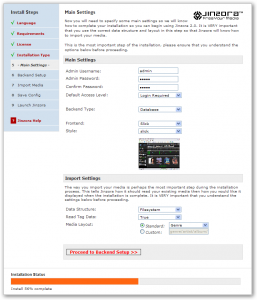 15) In the main settings screen, enter user, password and theme details for the Jinzora webpages. Click on “Proceed to Backend Setup”. 17) In the backend creation summary screen, the setup summary will be displayed. 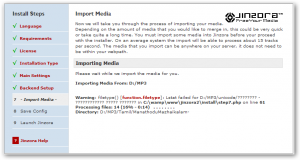 Click on “Proceed to Import Media”. 18) In the import media screen, enter the path of the music collection and click “Import Media”. After the import is done, click on “Proceed to Save Config”. 19) In the save config screen, config change results will be displayed. Click on “Proceed to Launch Jinzora”. 20) Jinzora frontend opens in the web browser. Jinzora can also be opened using the URL(http://localhost/jinzora2/index.php) from a web browser. 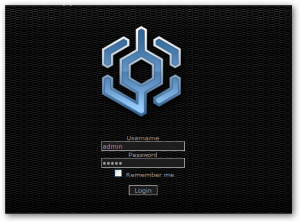 21) When the web page is opened, a login prompt will be displayed. 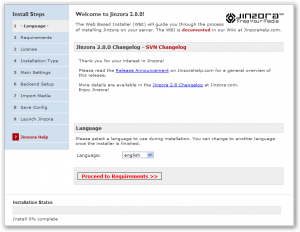 Before proceeding with the login delete the install directory under the Jinzora web directory. 22) Now in the browser window enter login id and password (admin/xxxx) to login to Jinzora. 23) Now that you have Jinzora up and running, next step is to configure access to Jinzora from anywhere on internet. Unlike Tonido Jukebox, Jinzora doesn’t support Dynamic DNS (DDNS) automatically. DDNS for Jinzora can be setup following the instructions here. As we near Tonido beta launch, we are figuring out a branching strategy for the code base. It appears that Subversion 1.5.x has better support for merging. For example, you don’t need to keep track of what was merged explicitly. To get this functionality, we upgraded subversion server on our Ubuntu Hardy 8.04 from 1.4.6 to 1.5.1. Note that you will need to update all SVN clients as well to get new 1.5.x functionality. 14. Verify you are actually getting new version, browse to your SVN repo via Apache and you should see “Powered By Subversion” with 1.5.x. For those who are wondering how to access your Windows files on a Mac, here is a simple command that can help you…. 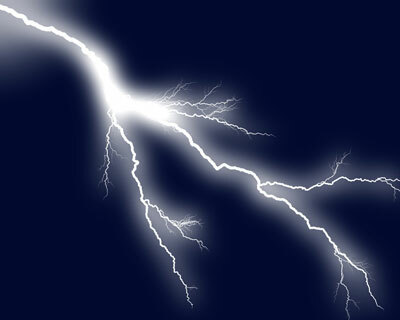 Create a share in Windows (‘MyHD’ in this case) . Voila.. your Windows share “MyHD” from machine “devworks” will be accessible from your Mac under the path WindowsHD!! When creating a new virtual machine image with SuSe Linux, the installation doesn’t start in proper graphics mode. Installation screens are visible only if the installer is started in text only mode. The problem is caused due to a problem with VMware framebuffer. To start the installation in graphical mode,before selecting install from the grub menu, enter the following value in the boot options text box and then press Enter. Many of us would like to do free spirit internet browsing while at office and working hard :-). However not all offices will allow you to do unrestricted internet traveling. Most of the day-to-day websites, email sites etc., will be on the restricted list. While some of the sites are restricted for security reasons, most of them are restricted for loss of productivity during office time. Here is a way we can quickly bypass browsing restrictions and get to any site we want. This article assumes a fairly working knowledge on computers. In this article, we setup a browsing proxy service on the office system which will route all the internet traffic via a remote home system. Also the entire communication between office and home system is over a secure channel, so there is no worry of privacy concerns. Windows operating system such as xp, 2000 etc.,. Putty – Very useful telnet/ssh client for windows. Preferably a linux operating system with SSH service started. If you don’t have a machine with linux system handy, you can use cygwin/openSSH on windows platform. In a nutshell this system should have a SSH server running on it. If home system is directly connected to internet, then public IP address of the home system will be needed for this setup. To make life easier a free dynamic dns account for mapping the IP address to a URL can also be created. Check http://www.dyndns.org for details. If home system is connected to internet via a router, then add a port forwarding on port 22 to the home system. Again public IP address or dynamic dns name of the router will be needed for this setup. 2) In putty, on the left-hand navigation panel, open SSH option and select “Tunnels”. Finally, select “Dynamic” from the radio button options. 3) Important: Click “Add” to add the tunnel settings to the connection. 4) On left-hand navigation panel, move the scrollbar to the top and click session. You will be seeing the settings entered in step(1). Now we can save the whole connection settings. Add a name for this connection in the saved sessions textbox and click save. 5) Click open, to open connection to home machine, and enter login and password information for the remote machine. This user need not be root user, but it needs to be an user with network access on the remote machine. That brings to the end of putty configuration. Now you have a proxy connection pipe from office machine to home machine. Now we need to configure our browser to use this pipe instead of the direct connection. 6) Open up a browser window and make the following changes to the connection settings. Select connection settings from the menu item Tools -> Options. This will bring up the option window, Select “Advanced” from the icon and then switch to “Network” tab. Click on Settings, which will bring up the network settings screen for the browser. Normally, the browser will be set for no proxy. If you have any other proxy settings remember to note those values. We might need to put that back when we are done using our own proxy service. Click on “Manual proxy configuration” option and enter “127.0.0.1” for SOCKS Host and 3000 (or the port you’ve used) for Port. Finally click “OK” to save the changes. Select connection settings from the menu item Tools -> Internet Options. This will bring up the option window, switch to “Connections” tab. Click on “LAN Settings”. IE network settings window will open. In this window select “Use proxy server….” and click “Advanced”. In the proxy settings window, enter 127.0.0.1 as socks proxy host and 3000 as socks proxy port. Click “OK” and save the changes. Note: Make note of the existing LAN settings to put it back after using the proxy service. 7) Now we are ready for browsing any website through our home network and not through the office network. To verify this you can close look at the putty logs. Also another crude test will be to close the putty session to sure browser cannot connect to internet anymore. Once you are done using the proxy service revert back to your original browser network settings.